My friend Reshma Saujani has run for public office twice (as the first ever Indian women to run for Congress, and as a public advocate), she failed both times. Instead of shrinking after these defeats, she dove head first into a new venture and founded the uber successful organization Girls Who Code. Talk about bravery. Girls Who Code, a national non-profit organization working to close the gender gap in technology and change the image of what a programmer looks like and does, has reached over 90,000 girls and it's just getting started. Reshma's latest act of bravery? 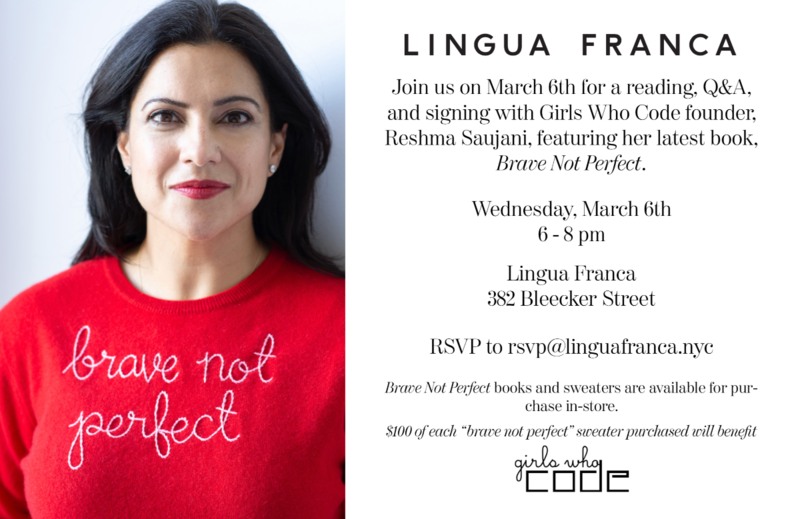 Her new book "Brave, Not Perfect" with which she helps us all gain powerful insights and practices to make bravery a lifelong habit and "to be the authors of our biggest, boldest, and most joyful lives."